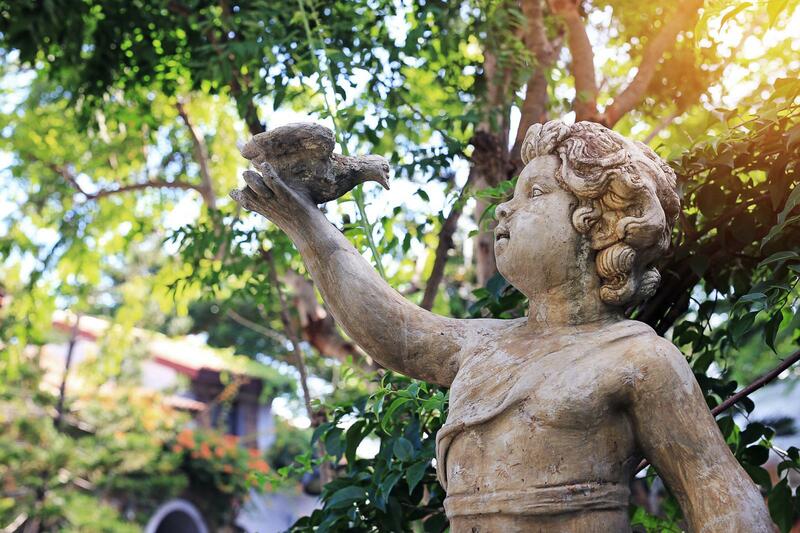 Your outdoor oasis isn't complete until you choose the perfect garden statues. These can be various sizes and made of different materials. A few guidelines can help you find statues that are unique and reflect your personal style. 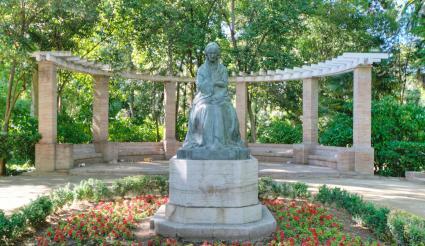 Will your statue(s) be in direct sunlight or underneath a canopy of trees or other vegetation? 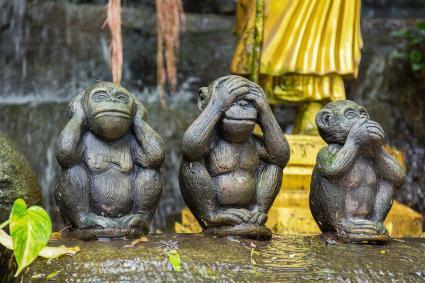 Will your statue(s) be subjected to salt air? Do you live in a region that receives a lot of rain, such as the Pacific Northwest of the US? Are you located in a region with bitter cold winters? What is the humidity level where you live? 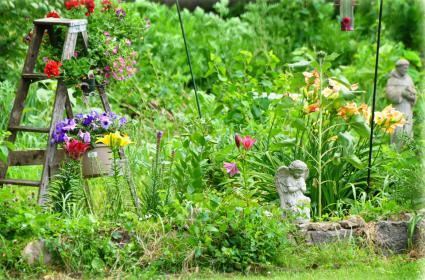 Is your garden in a high-pollutant area, such as a big city where car exhaust is heavy? You want to select a material for your statutes that will hold up under any or all of these conditions. Natural stone is non-porous and the ideal material for a statue. A statue carved from natural stone will survive longer than concrete, cast stone and other types of materials. Most stone statues are carved from granite or marble. One of the most common statuary materials is concrete. This material creates a very heavy statue, but it isn't without one problem - the possible cracking due to weather conditions. Water can seep into the porous crevices of concrete. This can freeze during the winter months and then thaw. This process can repeat until the concrete cracks and weakens. Cast stone is a refined precast concrete. It can be molded to imitate just about any natural stone. Additives, such as glass or plastic fibers can make these statues nearly as strong as natural stone and more resistant to weathering than concrete. There are some artists who use ceramics for small statuary creations. Ceramic is available as porous or non-porous. Exposed to the elements, ceramics can discolor as well as become brittle, especially porous ceramics. Metal statues made of brass, bronze or stainless steel provide a much different look than stone, concrete or cast stone. Some metals are more susceptible to corrosion. However, this material allows for mobile statues to move in the wind. Metal statues are a nice addition to most gardens. Some artists carve wood statues. This is an especially fun art form for chainsaw artists. The wood must be treated to be used outdoors, but even so will eventually succumb to the elements. You want to select statues that go with the style of your garden. 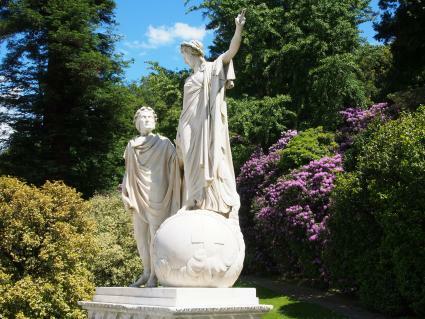 Formal gardens are conducive to classical Greek and Roman statue replicas. These can include full bodied statues available in all sizes, including human height or even taller. Busts of historical figures placed on pedestals are also a popular garden statue choice. A natural garden doesn't follow the restrictions of a formal garden. 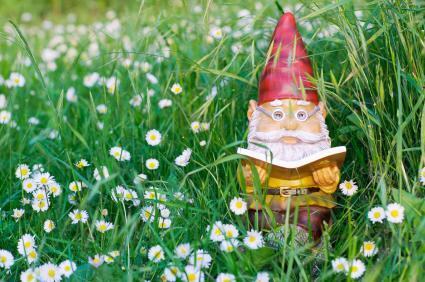 The style of statues you use can range from classical to whimsical, such as fairies and gnomes. The style you choose depends on your personal taste and the type of ambience you wish to create in your garden. Once you've decided on the type of statues you wish to buy, you need to find a place for each one. 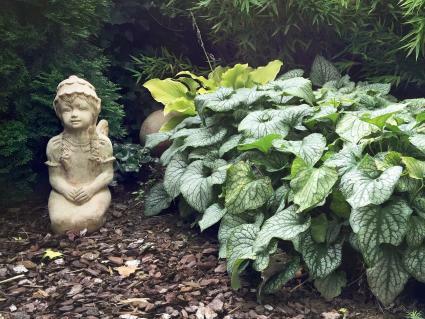 Take a walk about your garden and look for natural places a statue would go. 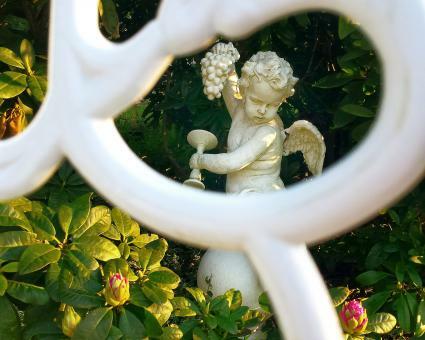 Large statues are used as focal points, so place these in prominent areas of your garden, such as unusual plantings, the entrance or a pool or water fountain. Like any art, garden statues should be engaging and appeal to you emotionally. Place in areas that allow the best viewing. 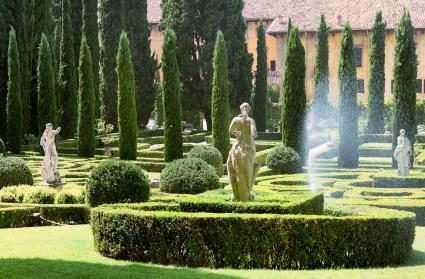 A few statues set along a hedge or long beds of flowers and other plants break up the space and add depth and interest. Smaller statues can be used in flower beds, garden niches and any area where you wish to draw the visitor deeper into the plantings. 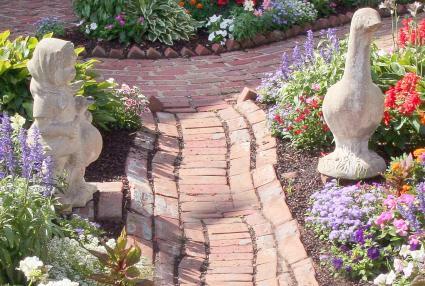 Place a statue or two along a garden path to grab the attention of visitors and encourage them to stop and smell the roses. A hidden nook with a bench for contemplation or reading is an ideal setting for a companion statue. Statues add another dimension to your garden. It doesn't matter what your personal style is, statues will make your garden special.